Aqualife's Providence spa is your own at home retreat. With 60 adjustable stainless-steel jets that let you personalize your experience every time you use your spa. With seating up to 7 people, 2 captain's chairs and a cool down seat there is no lacking comfort wherever you are sitting. The digital back lit control unit allows you to customize your experience with the press of a button, from the LED underwater lighting to the heat and jet pressure the possibilities are endless. Enclosed inside the no maintenance cabinet this heavy-duty spa is powered by 2 energy efficient pumps that let you choose your settings to relax quietly or give your body a true hydrotherapeutic massage. No matter the time of year the Providence will keep you comfortable with its 4kW Balboa all-season heater no matter the time of year. Completing the Providence is an insulated heavy-duty tapered cover, made a full inch thicker than industry standards, with locking clips to protect your spa. 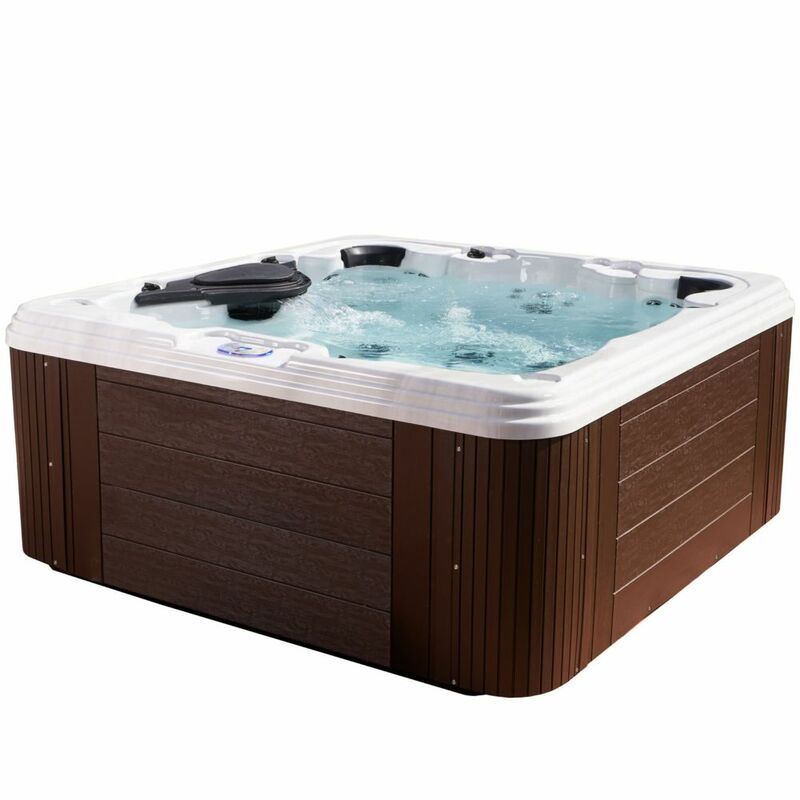 Providence 60 Jet Espresso Acrylic Hot Tub 240 V Aqualife's Providence spa is your own at home retreat. With 60 adjustable stainless-steel jets that let you personalize your experience every time you use your spa. With seating up to 7 people, 2 captain's chairs and a cool down seat there is no lacking comfort wherever you are sitting. The digital back lit control unit allows you to customize your experience with the press of a button, from the LED underwater lighting to the heat and jet pressure the possibilities are endless. Enclosed inside the no maintenance cabinet this heavy-duty spa is powered by 2 energy efficient pumps that let you choose your settings to relax quietly or give your body a true hydrotherapeutic massage. No matter the time of year the Providence will keep you comfortable with its 4kW Balboa all-season heater no matter the time of year. Completing the Providence is an insulated heavy-duty tapered cover, made a full inch thicker than industry standards, with locking clips to protect your spa.